CUSTOM TORONTO STREET SIGNS AT REBARN! Hey! Want a cool custom street sign with your street name and address on it? Well…come on in to REBARN and check out our signs. 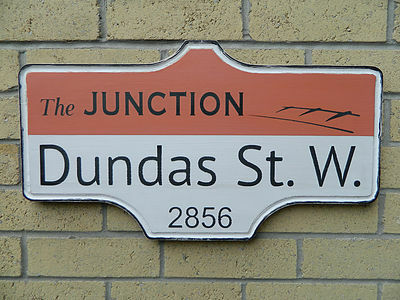 You can head up your sign with the area you live in (ie: Bloor West, Cabbage Town, The Junction etc.) and add your street name and number.